The provisions for the abolition of bearer shares in sec84 of the Small Business, Enterprise and Employment Act 2015 came into effect on 26 May 2015. 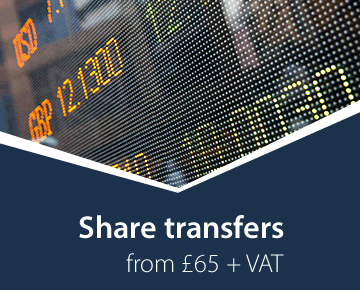 In summary, they prohibit UK companies from issuing any further bearer shares and, within 9 months of that date, all existing bearer shares must be surrendered, becoming registered shares. After that time, the company must apply to the court for an order for the shares to be cancelled, paying into court the issue price of the shares plus any accrued dividends up to cancellation. A company that has bearer shares in issue must publish various notices to the holders of such shares by the means specified in their terms of issue, by a notice on the company’s website and in the Gazette. Not many UK companies have bearer shares but they are not unknown. They are being abolished as part of the process of trying to make company ownership more transparent. These rules are quite harsh in their operation and, unless bearer shareholders comply with the requirements to surrender them in a timely manner, will also involve the companies concerned in some cost. By sec84 of the 2015 Act, a new sec779(4) is added to CA 2006 providing that no share warrant may be issued by a company (irrespective of whether its articles purport to authorise it to do so) on or after 26th. May 2015. By sec85 a company having provisions in its articles authorising the issue of bearer shares may remove such provisions without passing a special resolution, even if those provisions are entrenched in the articles. The amended articles must be sent to Companies House for registration. The section does not say who can make such a decision, and so it will be one that can be made by the directors, though a company may choose to put the matter for resolution by the members. 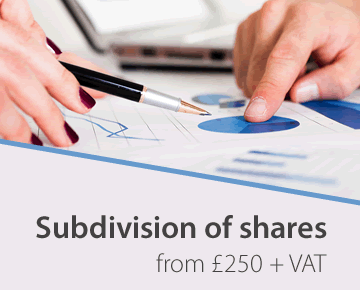 Schedule 4 sets out the arrangements for existing bearer shares. During the period of 9 months from the commencement date (the “surrender period”) the bearer of the share warrant has a right to surrender the bearer shares, entitling him to have his name entered as a member in the register of members. Every company that has bearer shares in issue must notify its bearer share holders of this right and other matters (see below). The company must, as soon as is reasonably practicable and in any event before the end of the period of 2 months of the share warrant being surrendered, supply share certificate(s) for the surrendered shares. all rights on the shares are suspended (including any voting rights and any right to receive a dividend or other distribution). The company must pay into a separate interest bearing bank any dividend or other distribution payable on the bearer shares. If the share warrant is subsequently surrendered before the end of the full 9 months period the suspension ceases to have effect, and the amount of any dividends paid on the shares, and any interest accrued on the bank account must then be paid to the owner of the shares. If the bearer shares are not surrendered by the end of the full 9 months surrender period, the company must, as soon as reasonably practicable and in any event within 3 months, apply to the court for a cancellation order, cancelling with effect from the date of the order the share warrant, and the shares specified in it. The court must make a cancellation order in respect of a share warrant if it is satisfied that the company has given the appropriate notices to the bearer shareholder or that the bearer had actual notice by other means. If the court is not so satisfied, it must instead make a suspended cancellation order requiring the company to give the missing notice to the bearer shareholder within 5 working days. The bearer of the share warrant has a right of surrender during the next 2 months (“the grace period”), and if the share warrant is not so surrendered, it is cancelled from the end of the grace period. Where a share warrant is cancelled the company must, as soon as reasonably practicable, enter the cancellation date in its register of members, and must, within 15 days, send to Companies House a copy of the cancellation order and a statement of capital, showing the company’s capital after the cancellation of the bearer shares. If the company is a PLC and the effect of the cancellation of the shares is that the company’s issued share capital falls below the minimum for a PLC, it must re-register as a private company (subject to any court order to the contrary).The expedited procedure for re-registration in CA 2006, sec651may be used. Where a share warrant is cancelled by a cancellation order or a suspended cancellation order, the company must within 14 days pay into court the nominal value of the shares plus any premium paid on them, plus any dividends and/or interest accrued during the suspension period. The owner of the bearer shares may claim that amount, but only during the period of six months to three years after the cancellation date, and only if the court is satisfied that there are exceptional circumstances justifying his failure to surrender the shares. (d) the consequences of not exercising the right before the end of that period. The notice must be given in the manner specified for notices in the terms of issue of the shares, on the company’s website (if it has one) and in the Gazette. Before the end of the period of eight months beginning with the commencement date, the company must give a further notice to the bearer share holder of the same information. The company must give notice to the bearer share holder that an application for a cancellation order has been made within 14 days of the date of the application. An application for voluntary striking off under CA 2006, sec1003 may not be made at a time when there is a share warrant issued by the company.